Brewing Buddha solves the dilemma of choosing between coffee and dessert after a meal. 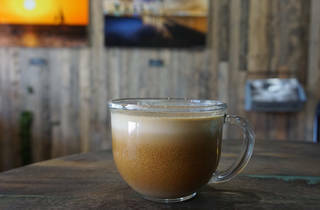 At the Pinecrest coffee shop, your standard caffeinated beverages are turned into eye-catching, indulgent drinks that do more than keep you awake. Take the marshmallow coconut cupcake cappuccino or the for-grownups-only Cinnamon Toast Crunch latte, made with house-made cinnamon whipped cream and topped with cereal (the drink was a recent monthly special, but we encourage you to ask for it anyway). 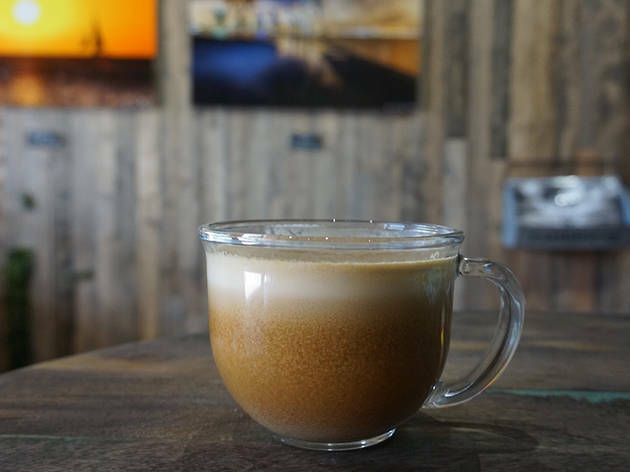 On tap, you’ll find coconut cold brew, a hydrating and energizing coffee made with coconut water, and nitro brew. Owners, and brothers, Jordan and Cassidy Athos also keep the walls of the shop interesting, showcasing their original photography and other artwork.